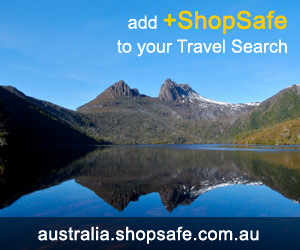 There are 10 shops in the ShopSafe USA Fathers Day Gift Ideas Shopping Category. NOVICA in association with National Geographic bring fabulous artworks from Artists from around the globe. They have an amazing collection of Paintings, Ceramics, Tapestries, Jewelry, Leather goods, Sculptures and collectibles, handmade, fair trade gifts by artisans. Always a welcomed gift - Cologne, Aftershave or Gift pack. Choose from their extensive selection of designer fragrances at irresistible prices. Spoil Dad with his favorite cologne or have a fresh new Aftershave sent straight to his door elegantly gift wrapped, (for a small fee) from their extensive range. Free shipping on all orders over $59.00 in USA. Free shipping and return shipping on all items. Discovery Channel Store have loads of great gifts for dad this Father's Day. Choose from gifts of Astronomy, Games and Puzzles, Gadgets, Outdoor gear and more. All else failed? Let us help. If you want to see more Fathers Day Gift Ideas here, please e-mail fathers_day_gifts@shopsafe.cc. Please do not change the subject line of your email. If the subject line does not contain "Add to ShopSafe Online Shopping" it will not be read.